“It’s also helpful to realize that this very body… | This Is Life. ← Grace Potter & the Nocturnals Live! This entry was posted in Quotes and tagged Body Positivity, Feminism, Happiness, Inspiration, Life, Lifestyle, Love, Thoughts, Women. Bookmark the permalink. Hi Abbey, I nominated you and your awesome inputs for The Sunshine Award, a little game with some answers and questions 🙂 You can read about it on my blog. it was pretty fun to do. Is this your painting? 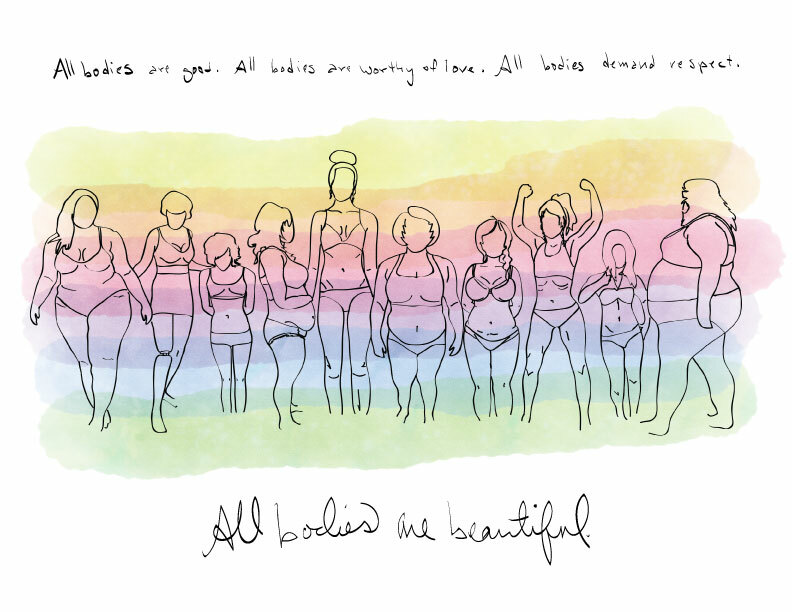 I’d love to use it in promo for an event on body love I’m doing – is that ok? If so how should I credit you? Thanks!